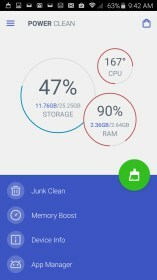 Power Clean -Phone Cleaner & Speed Booster Utility – Soft for Android 2018 – Free download. 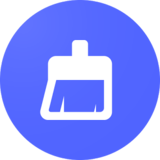 Power Clean -Phone Cleaner & Speed Booster Utility – Largely meaningless diagnostics and busy work. 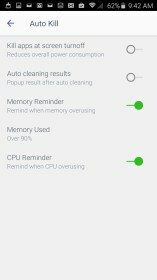 Power Clean for Android purports to clean and manage your gizmo's innards so as to keep things running fast and smooth. 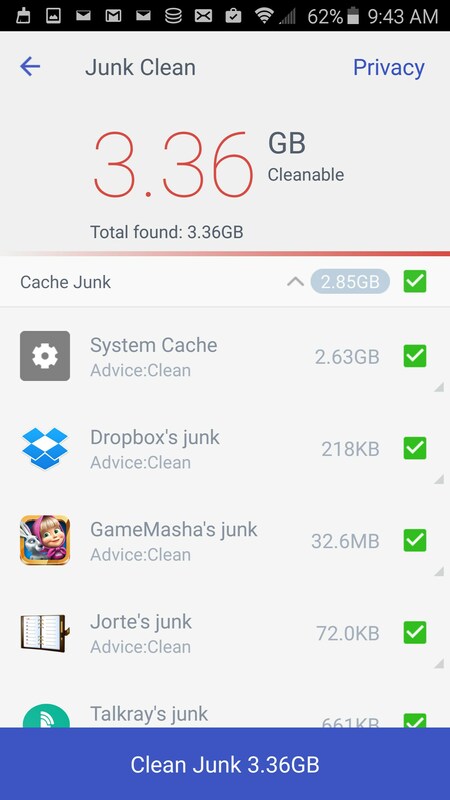 Conduct scans, manage apps, boost memory, free up internal storage and rid your device of erroneous junk. Only a small portion of this is actually useful. 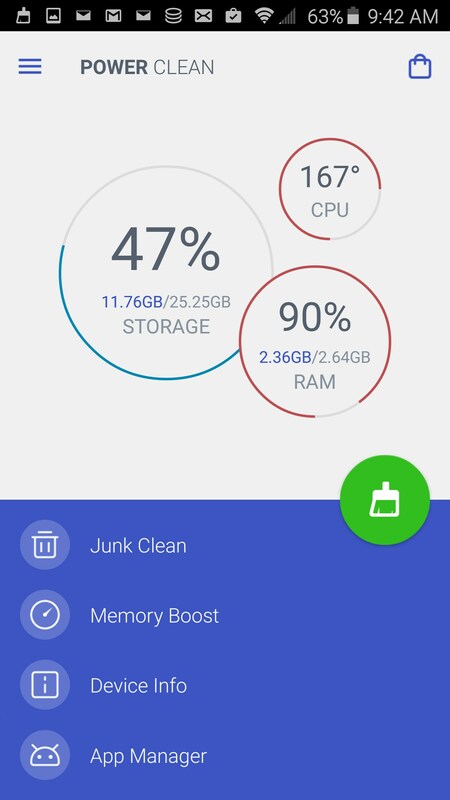 Power Clean displays in portrait, and right off the top, will conduct a series of system scans and return the results with a series of 3 circular graphs depicting percentage values for storage, CPU and RAM. 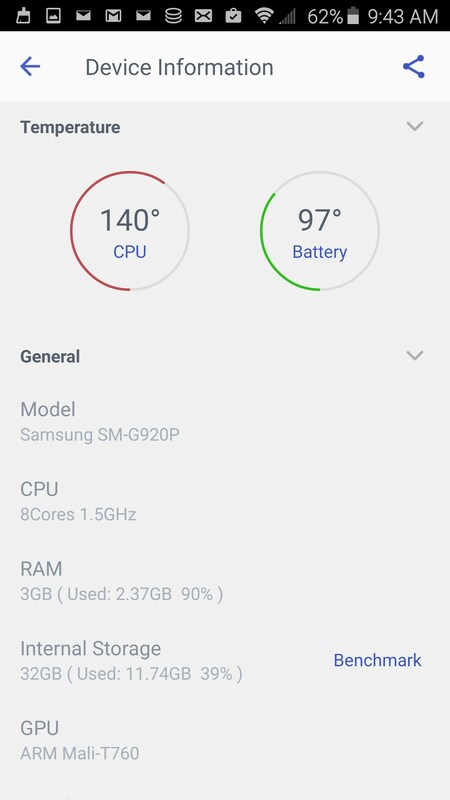 From there, you can tap any of the circular graphics to enter a details page where you can perform certain actions aimed at optimizing your device's performance. 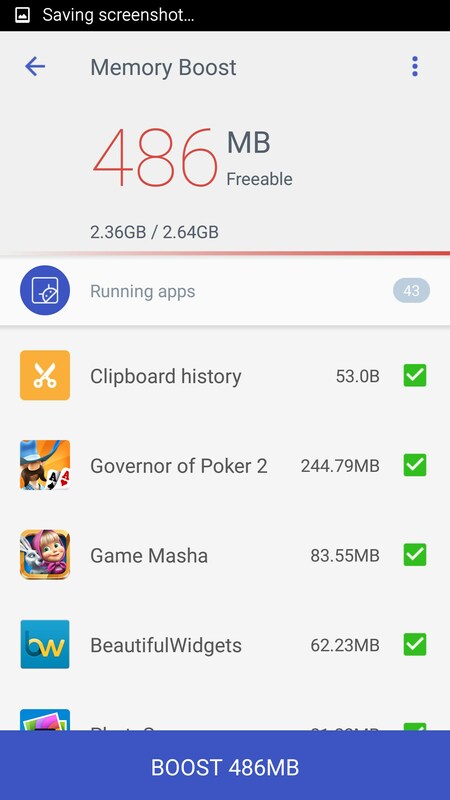 In theory, cleaning valuable disk space isn't a bad idea, but to my understanding for the Android OS, much of the functionality here is just redundant snake oil, held over from the old days of Windows when actions like this were essential for performance. 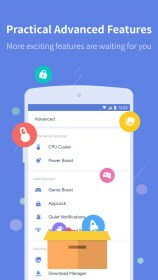 Why Google has willingly saddled themselves with the perception that their OS needs your help to function is beyond me, but it's a dumb move on their part. 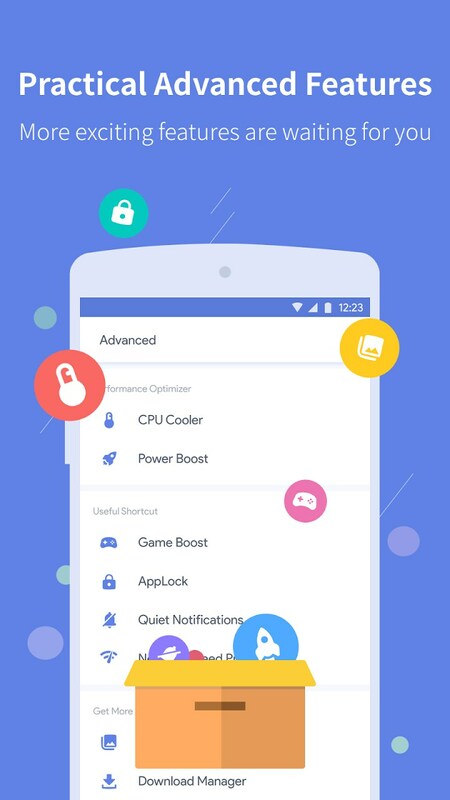 The interface is very old school, basically offering just a series of vertically scrolling lists. 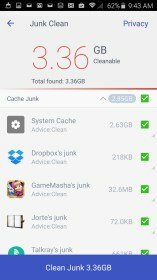 The main interface features a green clean icon; just tap that to see all the cleanable files on your device, just waiting for you to delete them. 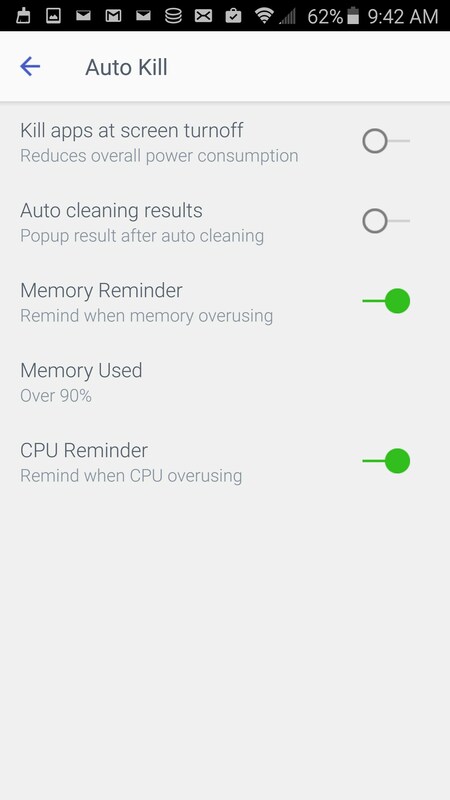 The app features persistent notifications, constantly badgering you to engage in the redundant practice of "cleaning" your device, which is just a thinly veiled attempt at keeping this app on your radar and creating the illusion that it's somehow essential. Power Clean is arguably useless. 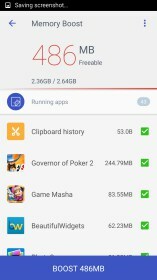 The RAM and CPU monitoring and cleaning is just downright laughable, and the only truly useful function here, is the app backup feature.